A coal barge on the Ohio River in Louisville. 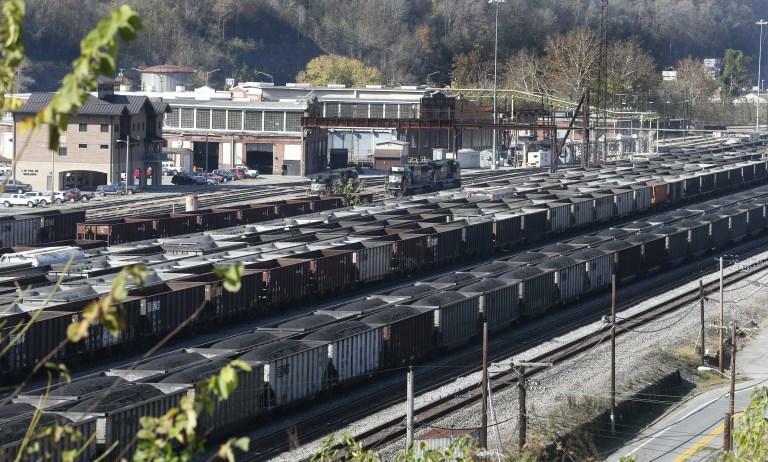 Coal cars fill a rail yard in Williamson , W.Va., Friday, Nov. 11, 2016. The hard-eyed view along the Tug Fork River in coal country is that Donald Trump has to prove he’ll help Appalachian mining like he promised. 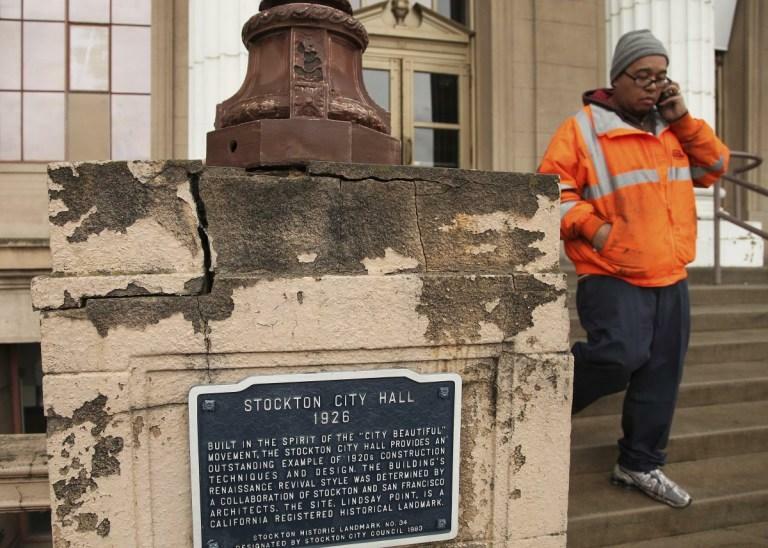 In this Feb. 29, 2012, file photo, a Stockton city worker walks away from city hall in Stockton, Calif. Stockton, a Northern California city, has given several dozen families $500 a month for a year as part of a program to study the economic and social impacts of giving people a basic income. 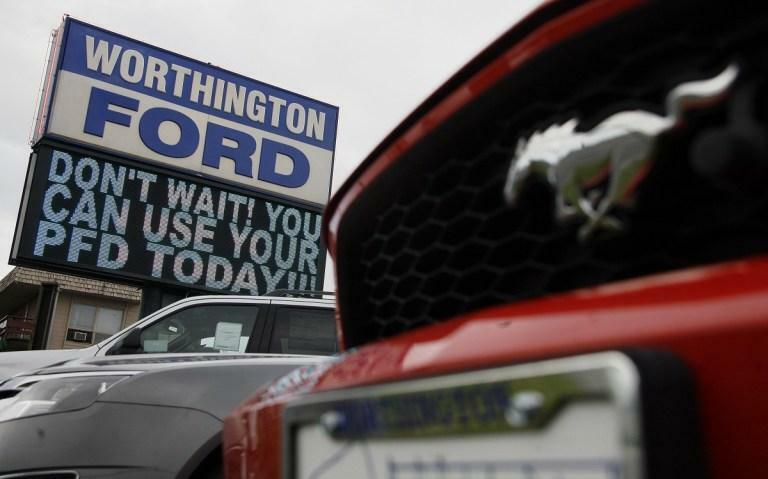 A sign at a used car lot in Anchorage, Alaska, on Tuesday, Sept. 22, 2009, encourages buyers to use their Alaska Permanent Fund Dividend check early for their purchase. 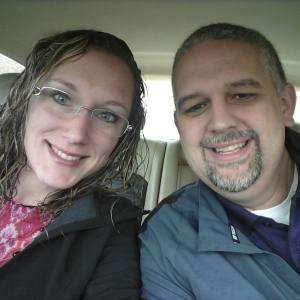 Pastor Travis Lowe, right, and his wife. 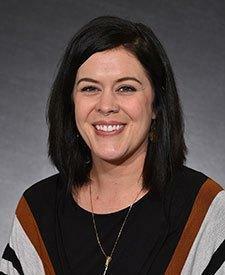 Dr. Stacia West, professor at the University of Tennessee College of Social Work.